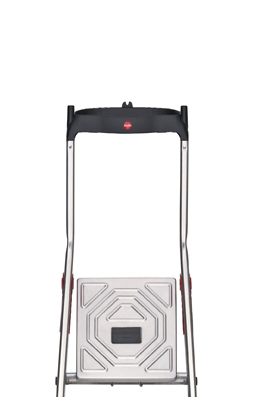 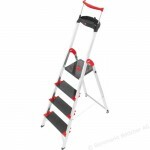 Aluminium safety household ladder with hinge protection and multifunction tray. 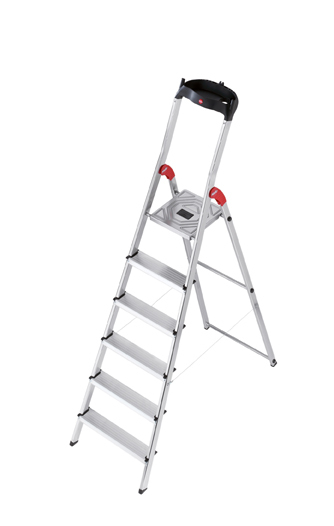 Time-saving aluminium safety household ladder with hinge protection and multifunction tray.With work tray and joint protection.Always to hand – a work tray is attached to the safety rail at the top of this ladder so that you can keep your tools and cleaning equipment within easy reach. Or do you want to drill holes in the ceiling? 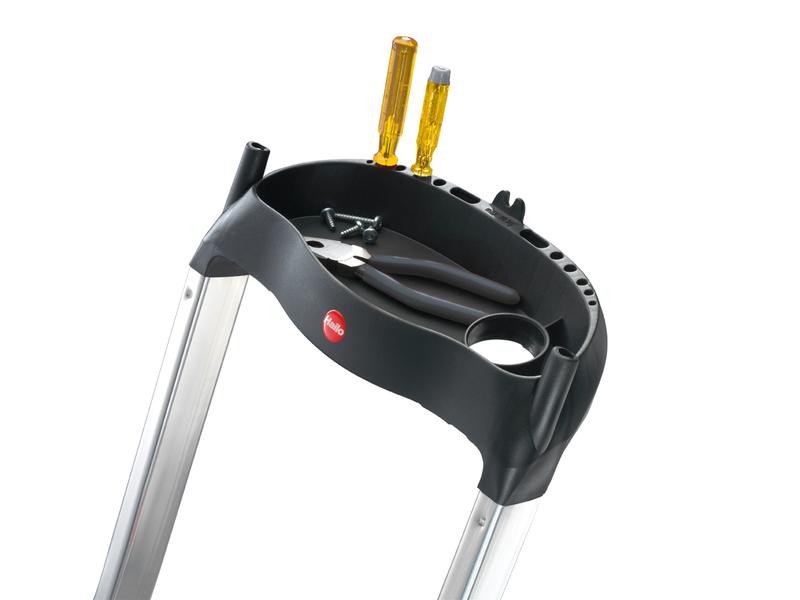 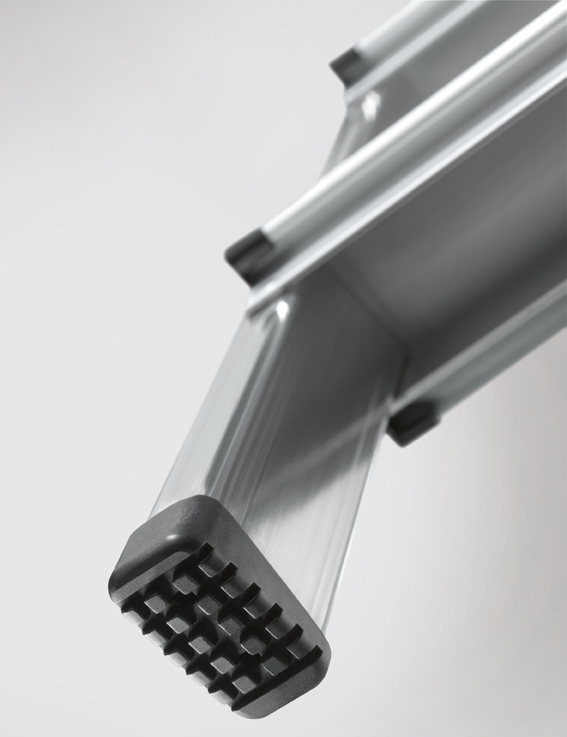 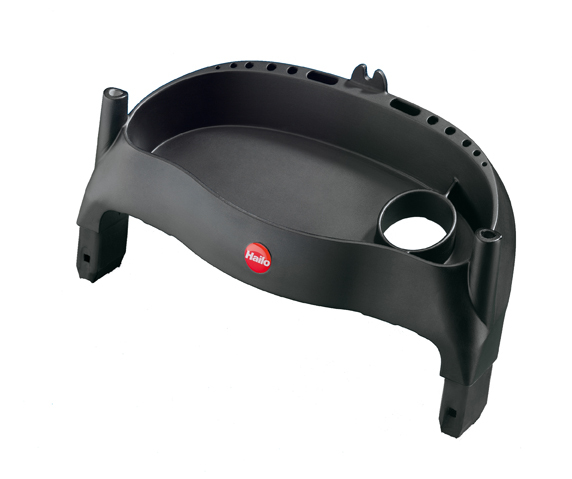 The integrated cable guide in the work tray makes that easy – without a jumble of cables. 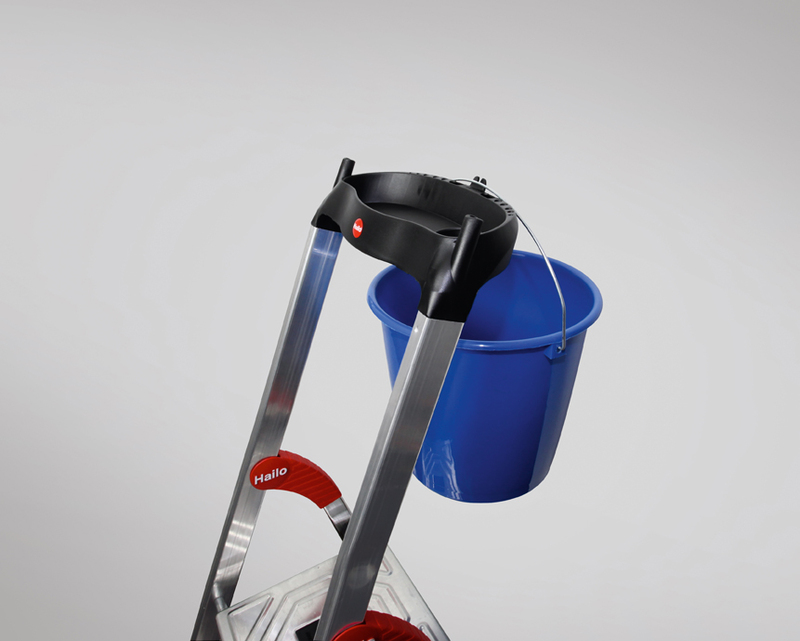 And if you want to paint the ceiling, just hang the paint bucket on the integrated hook.